Being so close the a metropolitan area as large as Houston, the Lake Conroe area has experienced incredible growth and transformation over the last quarter century. Some of the finest residential developments in the country have sprung up around the picturesque shores and wooded terrain surrounding the lake. Neighborhoods such as April Sound, Walden, Del Lago, Bentwater, Seven Coves, Grand Harbor, Point Aquarius, and Corinthian Point have become sources of the most sought after residential real estate in the Houston metropoloitan area. Many of Lake Conroe’s communities have superior golf courses and tennis facilities as well as the usual water amenities like marinas and boat launching. The Woodlands master planned community just south of the lake has contibuted both business and population incentives to families desiring to live the “good life” on Lake Conroe. With an ever increasing income base generated from the attractive business environment the area offers and the superior school districts educating our children, Lake Conroe’s growth has only just begun! Lake Conroe is located approximately one hour north of downtown Houston (via IH-45). 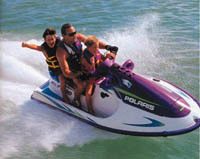 Extending 21 miles in length and covering 21,000 surface acres, Lake Conroe is the reserve drinking water supply for the City of Houston and offers clean, clear water for a large variety of recreation (boating, fishing, hunting, golfing, swimming, water skiing, jet skiing, pleasure boating, etc.). Luxurious hotels and condominiums, quality RV Parks, waterfront boat storage with valet launching, luxurious waterfront real estate developments are only a few of the attractions to this exceptional man made Lake only 60 minutes north from Houston via IH-45. HISTORY OF CONROE In 1881, Houston lumberman Isaac Conroe established a sawmill on Stewart’s Creek two miles east of the International-Great Northern Railroad’s Houston-Crockett line on a tract of land in the J. Smith survey, first settled in the late 1830’s. A small tram line connected the mill to the track, but Conroe soon transferred his operations down the tracks to the rail junction, where his new mill became a station on the I-GN. In January 1884, a post office was established at the mill commissary. At the suggestion of railroad official H.M. Hoxey, the community took the name Conroe’s Switch, in honor of the Northern-born, former Union cavalry officer who founded it and served as its first postmaster. Within a decade, the name was shortened to Conroe.In the mid 1880’s, the Gulf, Colorado and Santa Fe Railway extended its Navasota-Montgomery spur eastward through the town, which thus became the only junction of major rail lines in the county. A lumber boom beginning in the late nineteenth century in the Piney Woods of eastern and central Montgomery County attracted scores of settlers to Conroe. In 1889, Conroe replaced Montgomery as the county seat. A residence donated by Isaac Conroe served as a temporary courthouse until a permanent brick structure could be erected in 1891.By 1892 the community had become a shipping center for lumber, cotton, livestock and bricks. It had five steam-powered saw and planing mills, several brickyards, a cotton gin, a gristmill, and several hotels and general stores. The Conroe Independent School District was established and by 1896 the community’s first weekly newspaper, the Courier, had been founded. By 1900, Conroe was Montgomery County’s largest community. It was incorporated in 1904 with a population of 1,009, and its first mayor and city council were elected the following year. In 1906, the first electric lighting appeared in the town when an electrical generating plant was constructed on nearby Stewart’s Creek. The prosperity of the local agriculture and timber industries in the early twentieth century enabled Conroe to continue its rapid early growth despite severe fires in 1901 and 1911, which destroyed much of the business district near the courthouse square. After a few years of sustained growth, the town’s prosperity was threatened in the late 1920’s by the dwindling of the improperly managed local timber supply. Then in 1930 the spreading effects of the Great Depression struck Montgomery County, drastically curtailing lumber production and forcing many mills to close. In November 1930, Conroe’s only bank abruptly failed and pushed many residents and institutions into financial doldrums for many years. The community’s fortunes improved on December 13, 1931, when George W. Strake discovered oil seven miles southeast of town, thus marking the opening of the Conroe Oilfield and triggering an oil boom in the county. Within weeks the local economy had revived, and the Conroe school district, rescued from financial distress by the discovery of oil within its boundaries, became one of the wealthiest in the state. The oil revenues and population influx of the 1930s lent Conroe a boomtown atmosphere. It briefly claimed more millionaires per capita than any other town in the United States. During the early 1930s, the streets were paved for the first time and US Highway 75 was extended through the town. The ornate Crighton Theatre was erected on the courthouse square in 1935 and in 1936 a new courthouse was constructed. These structures still stand today as a testament to the town’s early history. Prior to 1837, Montgomery was a trading post situated a mile north of its present site. Owen and Margaret Montgomery Shannon, colonists with Stephen F. Austin, settled and traded with the Indians. Montgomery is Texas’ third oldest town. In its early days, Montgomery was the trade center for a large farming area, where stagecoach, railroad and telegraph lines crossed. Civic and religious organizations came early, as well as the first school in 1839. In 1848, the city was incorporated, and in 1842 the first Protestant parsonage in Texas was built there. In the 1850’s, Montgomery experienced a building boom with some of the fine homes remaining today. Descendants of original or early owners still occupy them in many instances. The Civil War halted progress, but by 1900, numerous mercantile establishments were in business, as well as three cotton gins, railroads active with freight and passengers, five hotels and boarding houses, doctors, dentists and lawyers. Later when the railroads by-passed Montgomery and the county seat moved, it reverted back to a quiet, peaceful little town that is loaded with history. The township sprang up when the Houston and Great Northern Railroad decided to run a track from Houston to Chicago and the Willis brothers donated their land in 1870 to the railroad. Willis won the county seat from Montgomery in 1874, however, the courthouse was never moved to Willis and in 1889 was moved permanently to Conroe. The tobacco industry plays a vital role in Willis’ history. Around the turn of the century, there were several cigar factories and tobacco was the number crop grown for many years. In fact, Willis cigars won first prize at the Columbia World Exposition and were popular throughout the world. At the demise of the tobacco industry following the imposition of tariffs, Willis returned to its first industries of timber and farming.